Hey there, has anyone attempted to make the Nellis range with Creech AFB? It seems like an Ideal place to try and make something as there isnt much out there as far as city to recreate, and the highway running by it is a straight shot to vegas. I have some experience with crossing runways, and let me tell you it's really hard to make these properly right now. Yup, crossing runways is a nightmare. When I tried it a few times I was wishing there was an accurate tool for setting the two runways at the same height, as well as a soft merge. I was trying to make some really big runways for the heavies. Try taking a look at Creech afb it's about 45 miles NW of vegas. Its pretty flat it sits at the southern end of the range airspace. 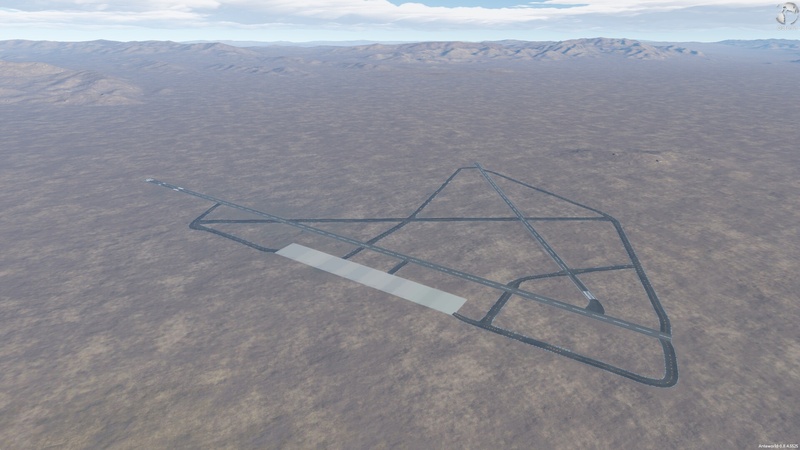 Will add more taxiways later, to finish the airport area. 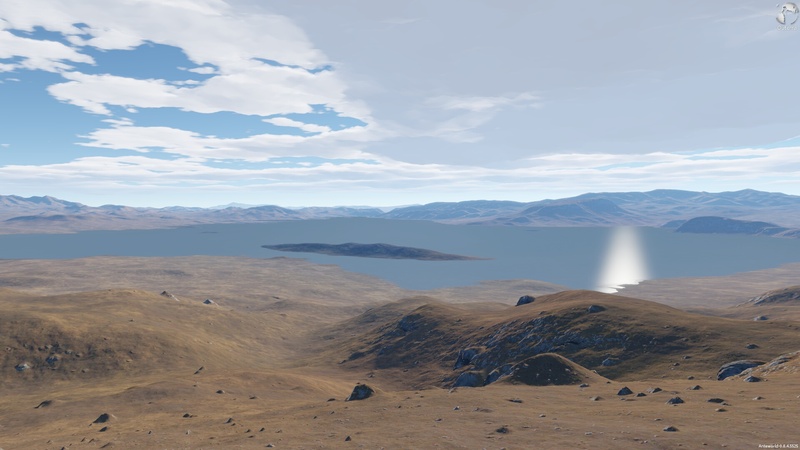 Of all the things I'm waiting for in outerra: Perfected clouds, Osm, Weather, coastlines, better road tools...... what I want most, most, most of all is lakes and rivers. I can wait nearly forever for the rest of it, if the final leg of the world scenery triad finally arrives. Well the lake out there is dry and there are targets out there for the Bombers to practice. Give me a few days and I can provide pictures to where they are and the order they are placed. But yeah it shoukd def be a dry lake bed. Oh lol rgr that. Yeah we are talking about two different places. When I get to my pc in 2 weeks I'll post pics up of exactly where I'm talking about and the targets out on the range. Nice! How do I get that from you? ALso is there a chance you can show it from a few different angles? Its hard to tell but at the ramp is do the roads go up hill t connect to it? 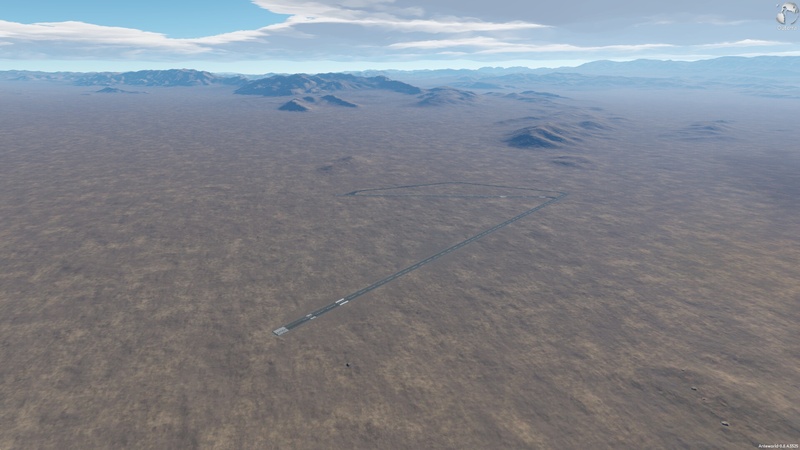 If that is the case is there currently a way to flatten an entire area to then place runway type things in tha space? Nice! How do I get that from you?